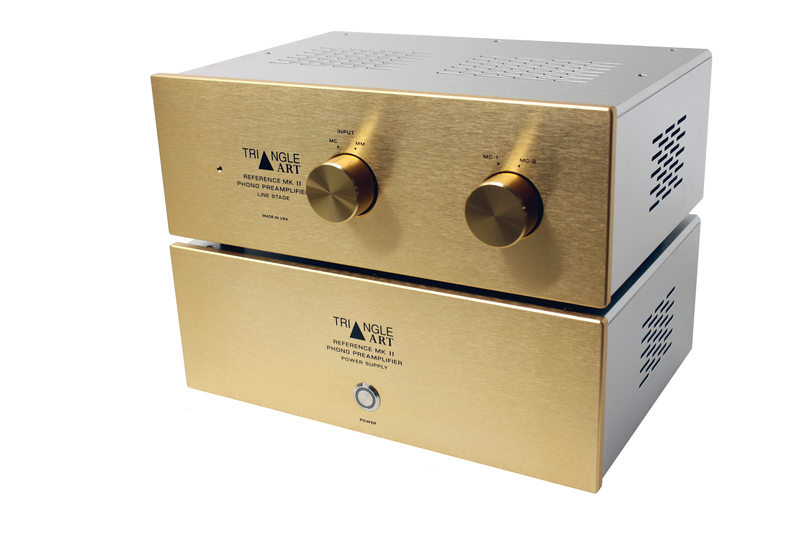 The Triangle Art Reference Phono Preamplifier is a true reference-class phono stage for the most demanding of audiophiles. 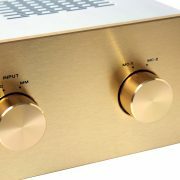 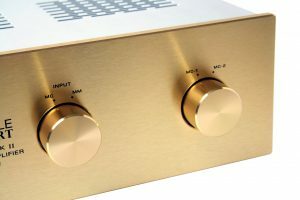 It is a tube stereo phono preamplifier that offers inputs for both moving-magnet and moving-coil phono cartridges. 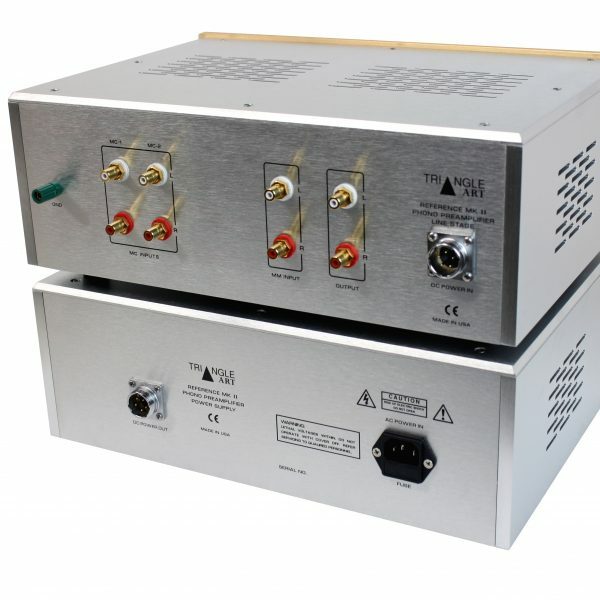 Two chassis design with matching external power supply to further minimize overall noise specifically to magnetic field interferences generated by the power transformer. 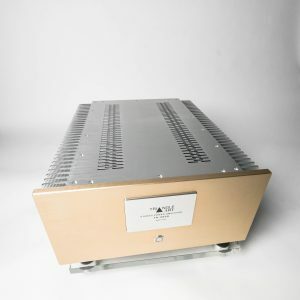 The massive Power Supply utilizing three selected vacuum tubes (1 x 5AR4, 1 x 6V6 and 1 x 6SL7) incorporated with a well thought out design with substantial energy storage and high inherent regulation. 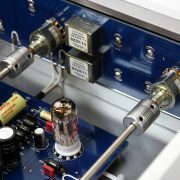 The Line Stage utilizing four 12AX7 vacuum tubes and each tube is shielded to minimize interference and to reduce micro phonics. Two Sweden Lundahl step-up transformers are used in the MC gain section to provide high gain with ultra low noise. Another key feature is the use of Amtrans AMRG premium carbon film resistors (with gold-plated leads) along with other premium grade components throughout the circuit to achieve exceptional RIAA accuracy. 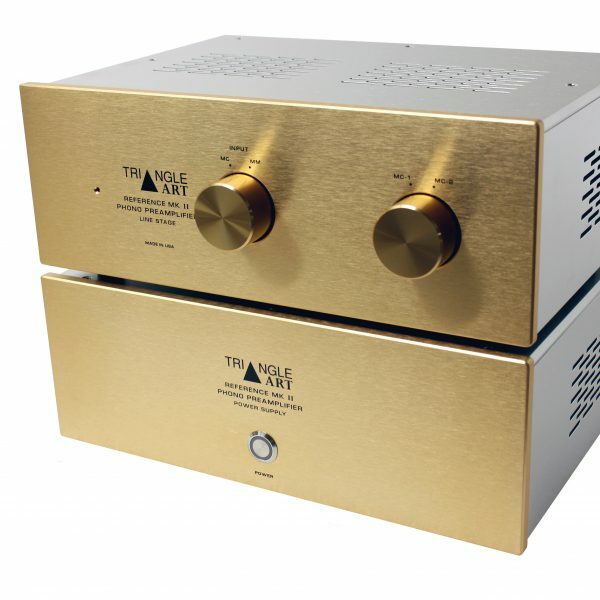 On top of that, two pair of MC inputs are available for turntable with dual tonearm. 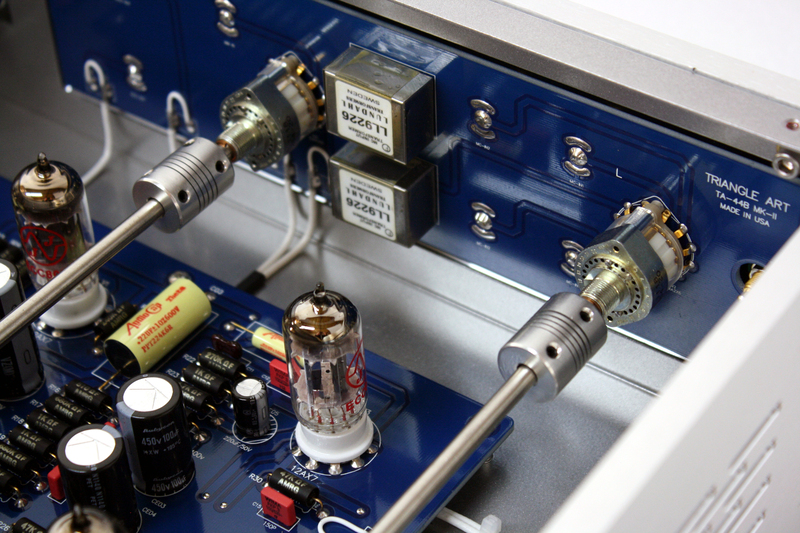 The chassis of the Reference Phono Preamplifier is constructed with the use of 3/8? 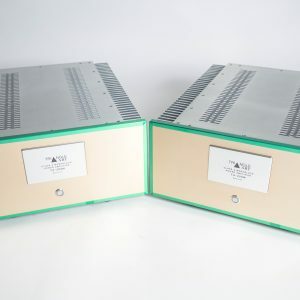 thick aluminum panels. Each piece is CNC machined according to our specs, hand polished and then anodized in silver and gold to create the elegant two tone finish. 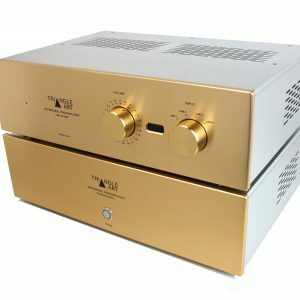 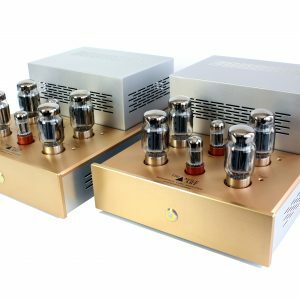 With an eye catching appearance, high build quality, exceptional sound and a very quiet background, the Reference Phono Preamplifier can easily be the world’s finest phono stage. 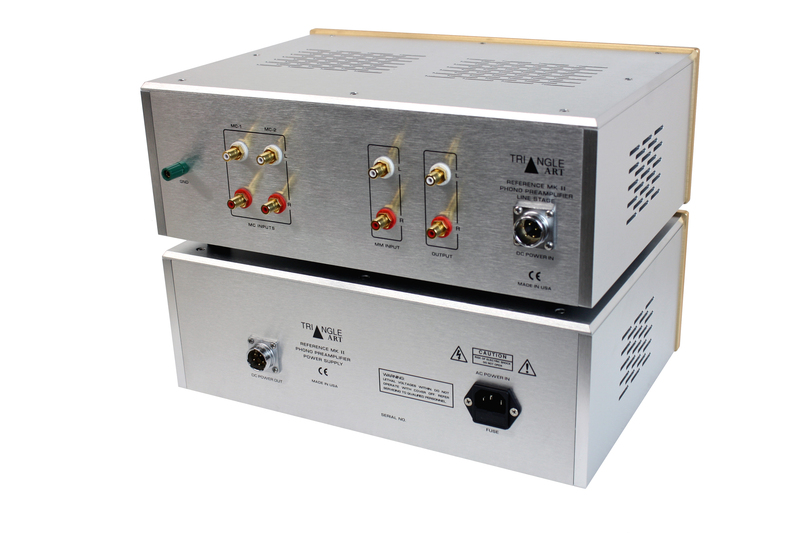 Weight – LINE STAGE: 16.5 lbs. 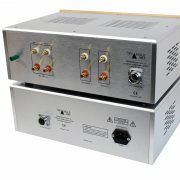 Weight – POWER SUPPLY: 22.5 lbs.